The final girder has been installed on the new bridge over the Richmond River at Broadwater as part of the 155-kilometre Pacific Highway upgrade between Woolgoolga and Ballina, thanks to the Nationals in Government. Federal Nationals Member for Page Kevin Hogan said the bridge provided a critical link in the massive upgrade of the highway, which has long been a key Nationals commitment. About 3000 people are currently directly employed on the highway with another 9000 indirect jobs. Importantly, the number of fatal crashes have already halved from 40 deaths each year prior to construction to less than 20 last year. Deputy Prime Minister and Federal Nationals Leader Michael McCormack said the installation represented a momentous achievement. “The placement of the final girder is a significant and positive milestone to end the year on,” Mr McCormack said. 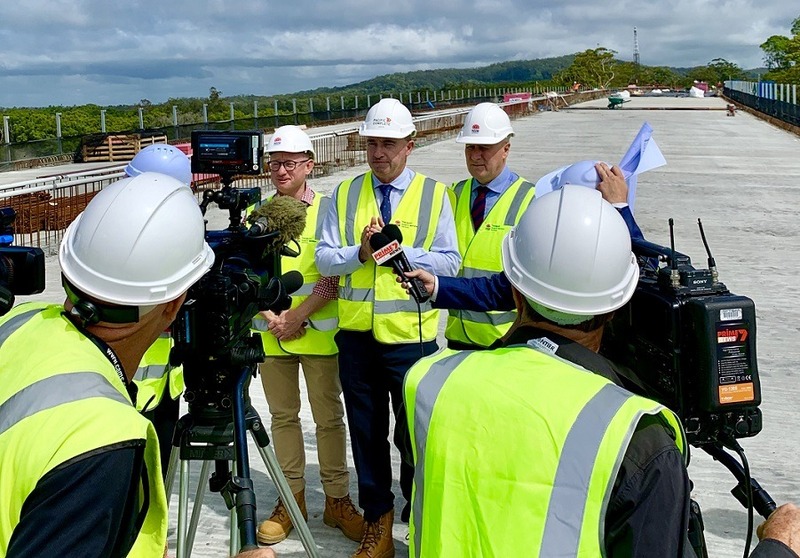 Parliamentary Secretary for Northern NSW and NSW Nationals Candidate for Ballina Ben Franklin said the project team would be using 43,000 tonnes of concrete, 3500 tonnes of asphalt and 2500 tonnes of steel to build the bridge. NSW Nationals Member for Clarence Chris Gulaptis said more than 75 per cent of about 8500 precast concrete pieces being used to build 170 bridges on the upgrade had now been successfully delivered to site. The $4.3 billion Pacific Highway – Woolgoolga to Ballina upgrade has been jointly funded by the Australian and NSW governments, with the Australian Government committing up to $3.46 billion and the NSW Government committing the remainder.